Clutch handbag designs vary in shapes and colors. The only thing in common is the small size. It is easy to get confused with so many different choices. In this pose, we are going to talk about black clutch handbag designs from Givenchy. 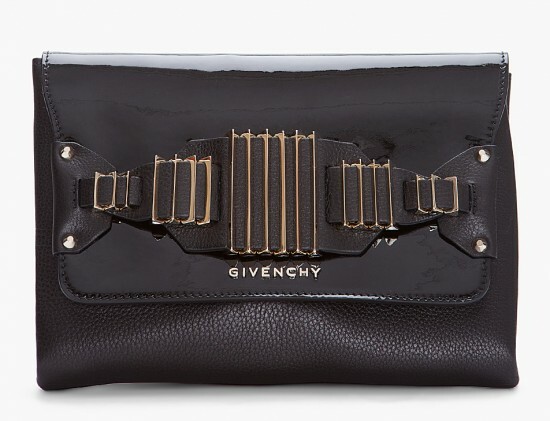 Givenchy Obsedia Pepe clutch handbag features textured leather flap front, magnetic snap closure and detachable tubular, gold-tone or silver-tone chain shoulder strap. It has fabric-lined interior with a single zip pocket. The internal zipped pocket is fully lined with leather. The magnetic clasp is shaped like a cross with a ring. This clutch handbag will look great with edge outfits with leather pants and skirts or black destroyed jeans with studded shoes and boots. Accessorize with silver or leather accessories like bracelets and necklaces. Givenchy Bahia clutch handbag in black has a leather flap front, magnetic snap closure and brass decorative detail at the front. It also has leather and fabric lined interior with a pocket. 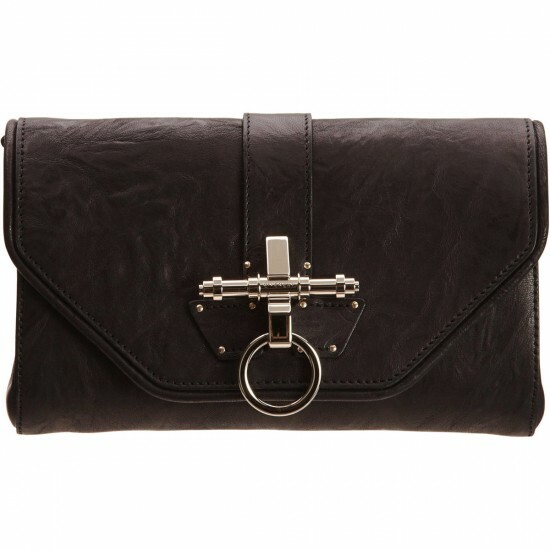 This textured leather clutch handbag features graduated buckle detail, studs and logo plating at patent front flap. The magnetic fastening is concealed. The black twill interior has a patch pocket. The clutch handbag would add an eye-catching accent to your outfit. This high-quality piece will last you for years to come, so it’s worth the investment. 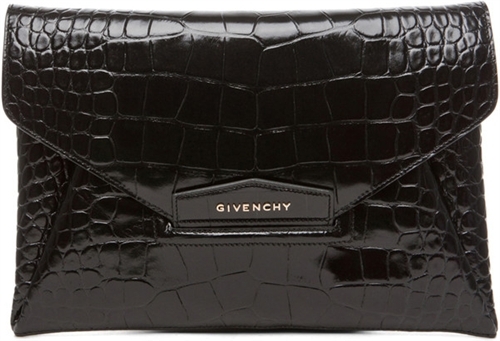 Givenchy Antigona croc envelope clutch handbag is made from croc embossed calfskin leather. The interior has a pocket with canvas lining. The clutch handbag features a fold-over top with slit closure. It also has three interior compartments. This clutch handbag has a more formal look, which makes it appropriate for your office outfit, evening clothes, as well as every other outfit you can think of. When you’re looking for a clutch handbag, test it before you buy anything. It should be able to carry all the essentials like car keys, a purse, a cell phone and so on. At the same time, it should be small enough, so that you can comfortably carry it in your hand. It is also a good idea to choose a clutch handbag with a removable shoulder strap.